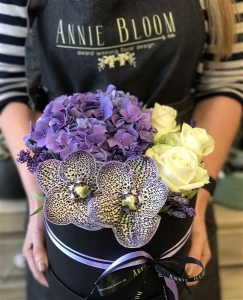 At Annie Bloom, we are passionate about flowers and their individuality- they have the ability to stimulate and enhance our lives. 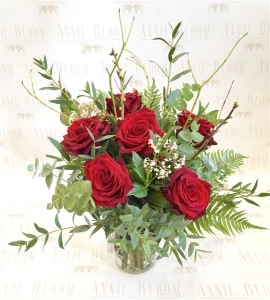 Our multiple award winning florists will create a bespoke design for you whether you require elaborate,exotic or simplistic chic. 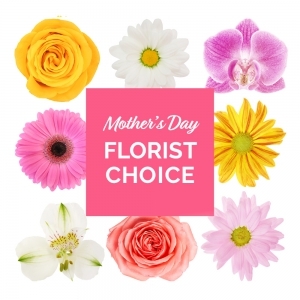 Our flowers and plants are sourced from respected Dutch suppliers and Irish growers. 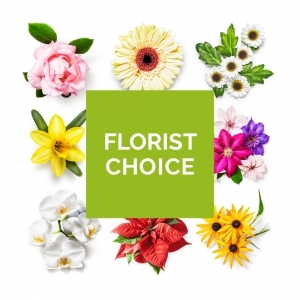 We pride ourselves in our selection of fresh,highest quality blooms. 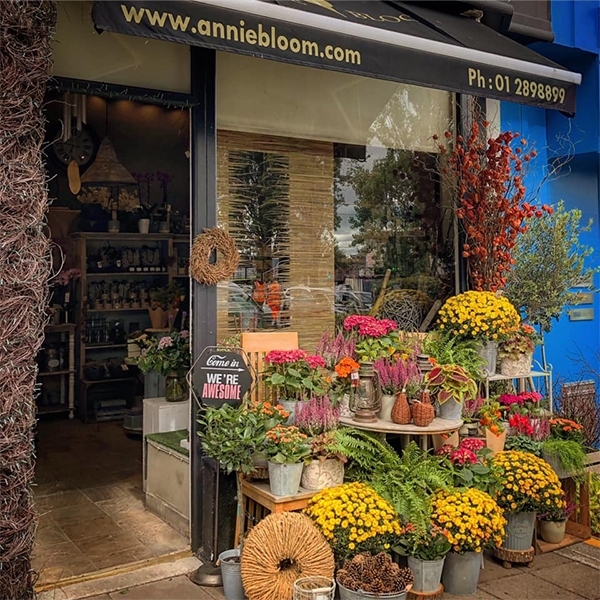 Annie Bloom is a family run award winning florist with more than 15 years experience. We pride ourselves in our excellent customer service and the highest quality of our products. 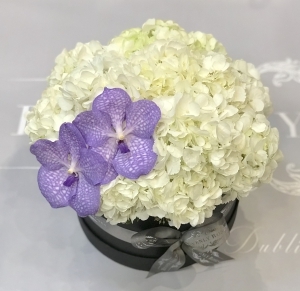 Our florists and shop are the pride owner of eighteen awards including numerous 1st places in Florist of the Year and Florist of the Future awards from the Irish Florist Guild and other highly respected organizations. Buying from Annie Bloom is a pleasant experience. 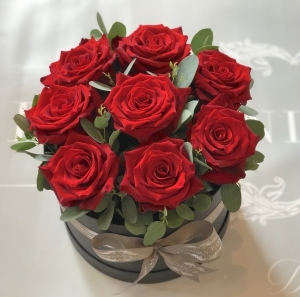 Almost all of our customers return back to us on a regular basis, trusting us with the most important events in their lives such as weddings, birthdays,birth of new babies, anniversaries, funerals, corporate events etc. Our regular customers include very satisfied individuals, large companies and even celebrities. 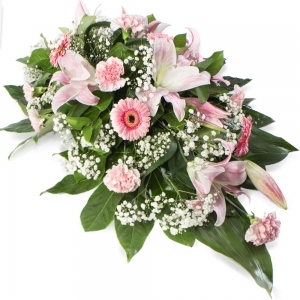 Our specialties include beautifully handcrafted floral designs for every occasion. 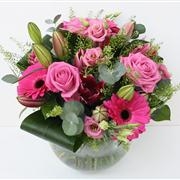 Our broad selection always includes exotic flowers, handmade, eco friendly and unique materials and gifts. We also carry a big selection of handmade cards, unique gift items, ceramics, glassware and lanterns. 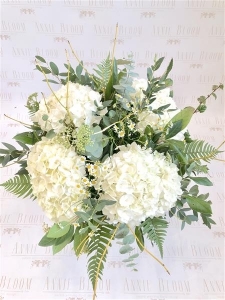 Our internationally trained team is sure to please you with the highest skills in floristry and customer service whether you are looking for simplistic chic or the most elaborate high-tech or large volume design. Our shop is based in the Magic Carpet Centre, Cornelscourt, Dublin 18. 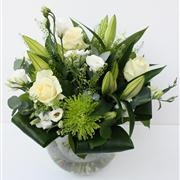 Same day deliveries available in the local area. Our drivers make every effort to have your order delivered as soon as possible, and/or within your preferred time frame. 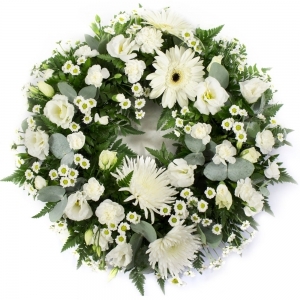 I have just been informed by my sister today that that the flowers that I ordered NEVER arrived for my Mam! Doy you know what happened to them? 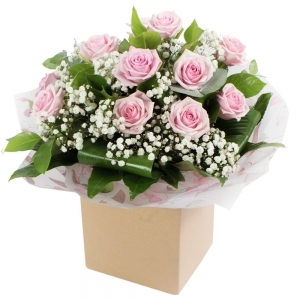 Very pretty bouquet, had hoped for a few more flowering stems for the cost but the flowers received were gorgeous. 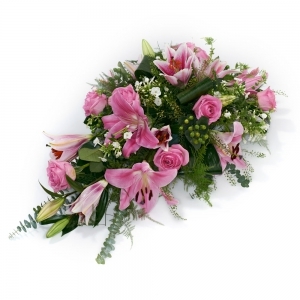 The recipient says the flowers are wonderful. 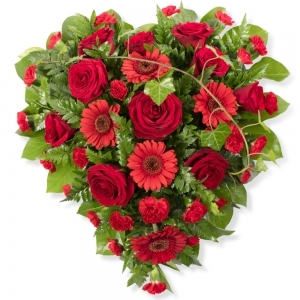 Florist replaced my original order which was not available and I am very happy with quality and delivery. Great service! It was hard not be with our youngest child on her 25th Birthday. We, of course, celebrated before she went back to school for her final year in UCD 's Veterinary program. But, still, it is not the same as being with her. The flowers were lovely and it made her quite happy! Thank you!!!! The flowers were for my sisters birthday and she was very happy with them. She sent me a picture of them and they were very beautiful. 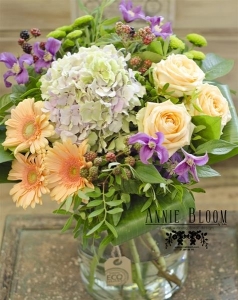 I have used Annie Bloom before and they always provide a great service! Thank You! I had to phone the shop to re-arrange delivery and the lady I spoke to was very helpful. Thank you. They delivery was very prompt, at the earliest possible (10.15 am). Their customer support is excellent. Very prompt delivery. Excellent arrangement. Accurate transcription of message. Thank you. 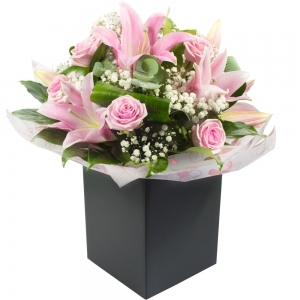 Beautiful bouquet and speedy delivery. 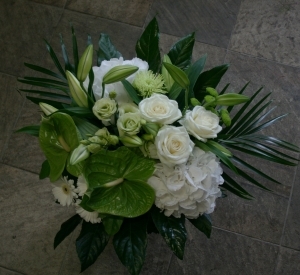 The flower arrangement was beautiful and delivered on time!! 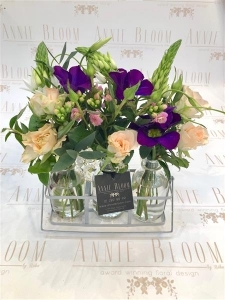 I live abroad and have been using Annie Bloom for all my flower gifts back home and the quality and service is always second to none. I used them for years before I travelled too. They always seem to make every bouquet feel luxurious. Hand written note was an excellent touch and the flowers were huge. Excellent stuff!. Beautiful Flowers and excellent service, thank you Annie Bloom Florist. It's very hard to rate a product when you don't see it, but from what I learned from the person I sent it to, she was very happy with it. great sevice. great follow up. Recipient very pleased. Amazing service! Wish there was some way I could thank them more! 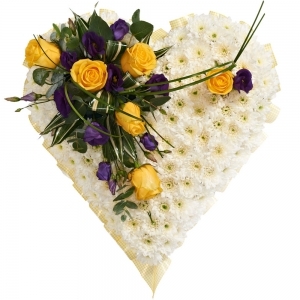 Wonderful service and absolutely beautiful arrangement. I saw it on my I-Pad this morning when my daughter called to say thank you. I would certainly use you again. 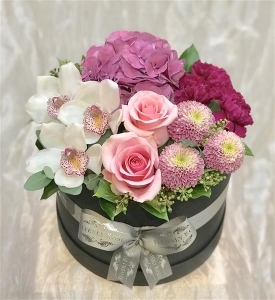 thank you so much for getting this order to our friends so quickly and for making up the bouquet with all the flowers I asked for. They were thrilled with it! This was a 60th birthday present that arrived at 6pm on the day. I had indicated a morning delivery. 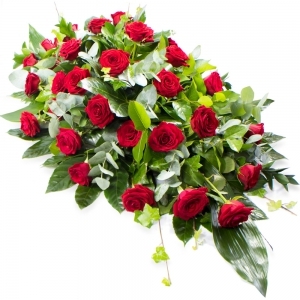 real fast service, great florist shop!! 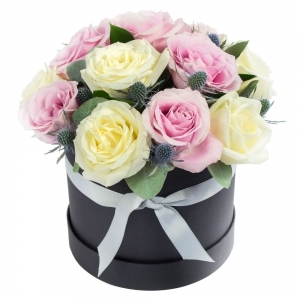 This stylish and trendy hatbox arrangement is a real show stopper. 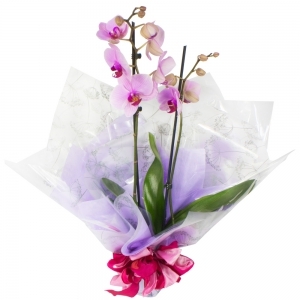 Featuring long lasting luxury orchids, roses and seasonal flowers in purple and white. Suitable for every occasion. 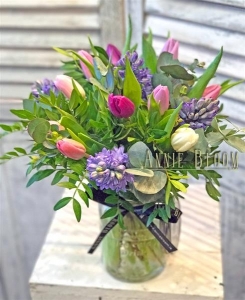 A truly trendy selection of fragrant hyacinths and tulips presented in a vintage style jam jar. This design is an eco friendly option as we don't use plastic for wrapping. Colour content may vary. 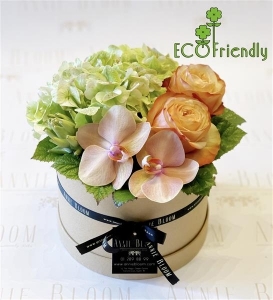 Be trendy, go eco friendly! 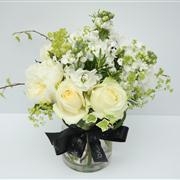 Beautiful garden style selection presented in a recycled glass. This gift is an environmentally friendly option. We don't use any plastic packaging to create this stunning design to reduce our carbon footprint. Colours and flowers may wary to reflect current season. 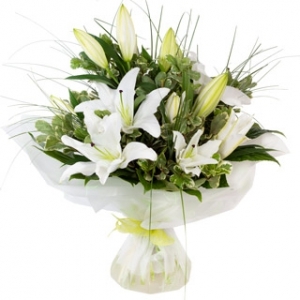 Zesty limes and crisp whites create this stylish bouquet, including scented oriental lilies and a selection of our best blooms of the day. 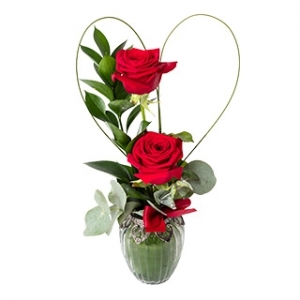 Half a dozen beautiful red roses delivered in a trendy mason jar. We don't use plastic wrapping on this product to reduce our carbon footprint. 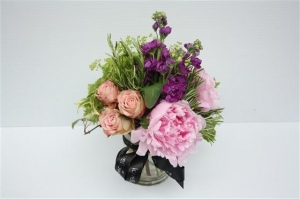 A beautiful selection of seasonal pink blooms including roses in a stylish mason jar. Flower contents may vary. 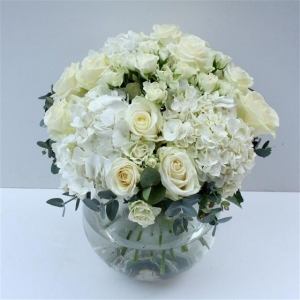 A lavish luxury hand-tied bouquet of white roses, hydrangeas and seasonal flowers beautifully arranged in a glass vase. 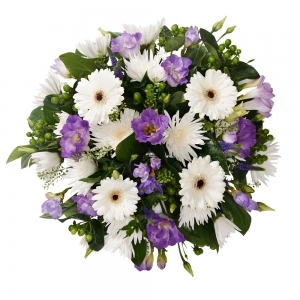 A beautiful selection of quality fresh flowers, tastefully arranged by one of our designers. Please indicate your colour choice. 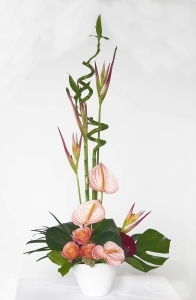 This eyecatching modern arrangement of exotic flowers designed by our award-winning florists is perfect to just receive, place and admire! 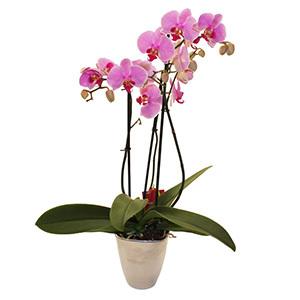 Exotic flowers will vary depending on the season.